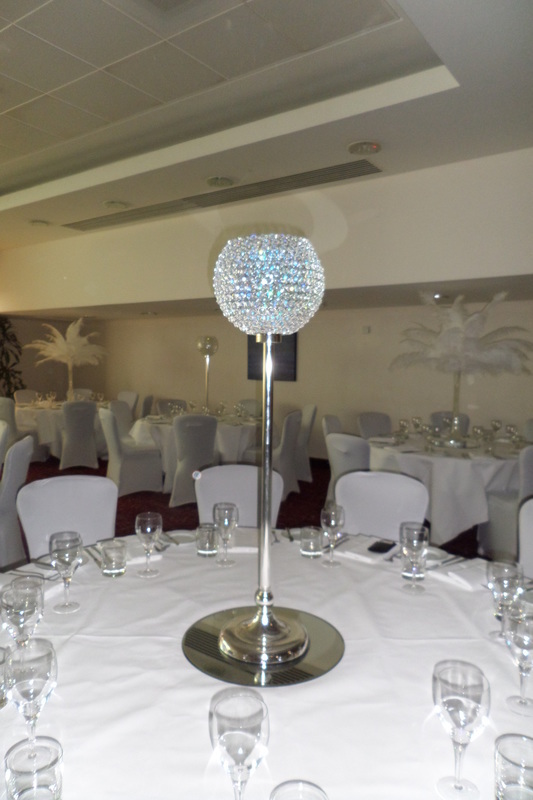 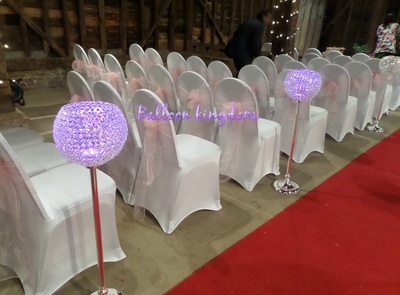 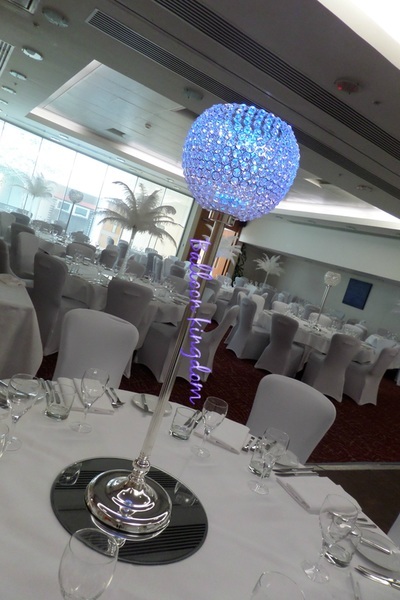 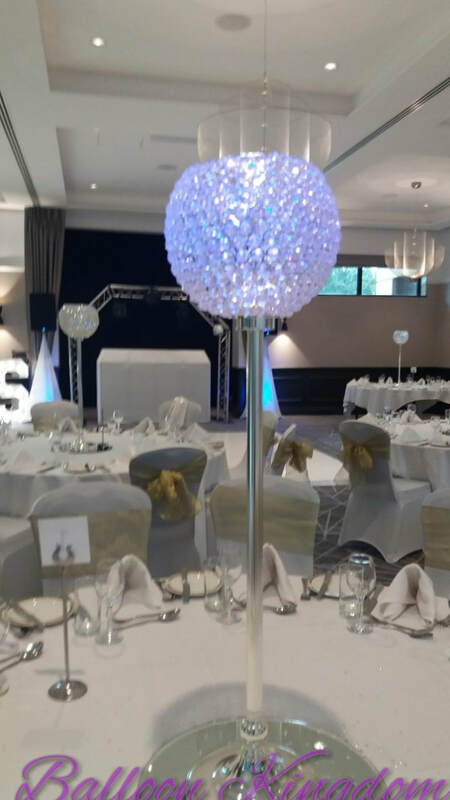 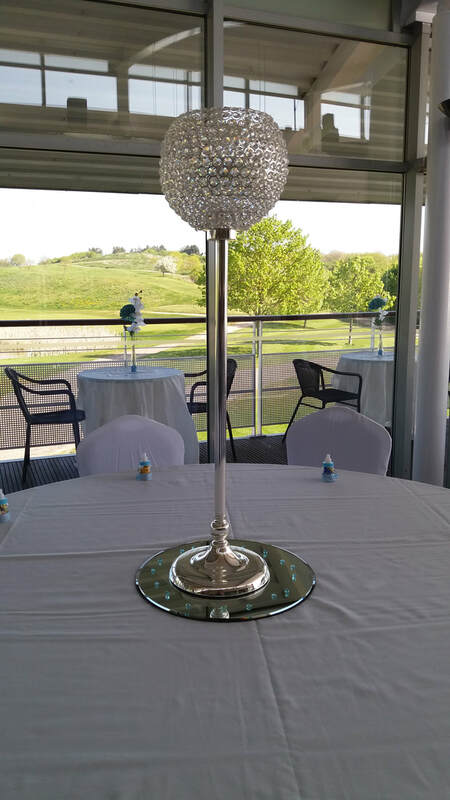 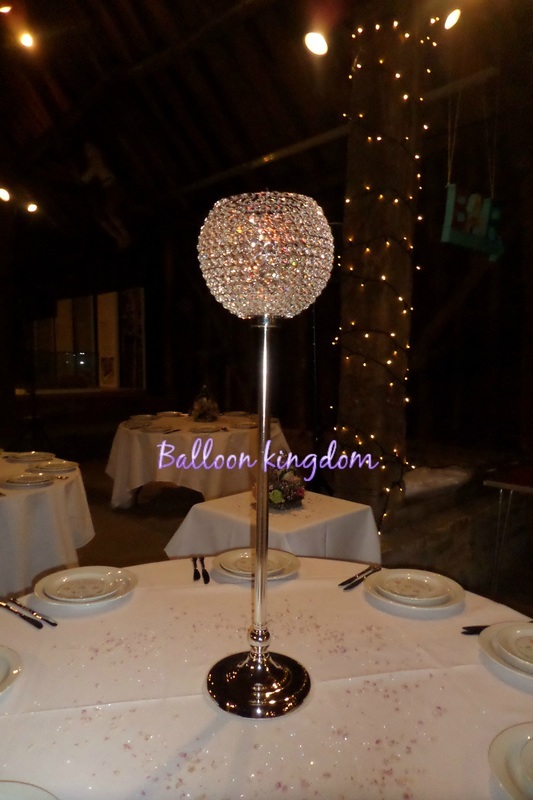 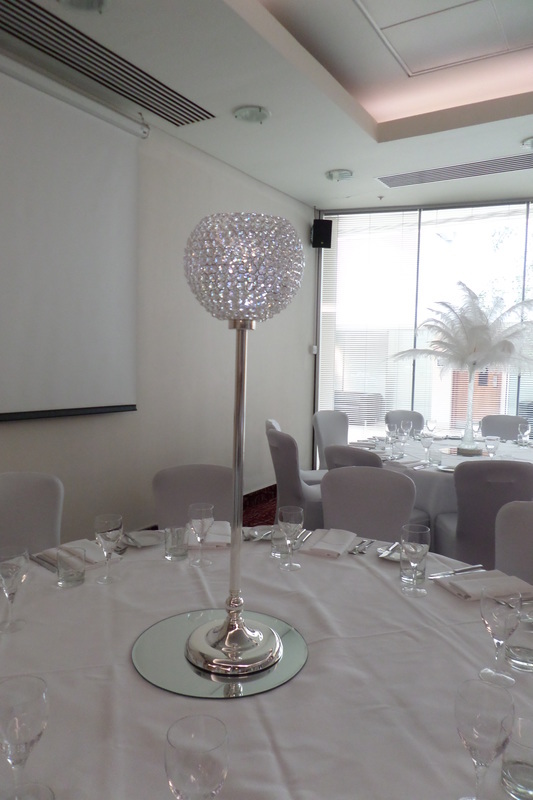 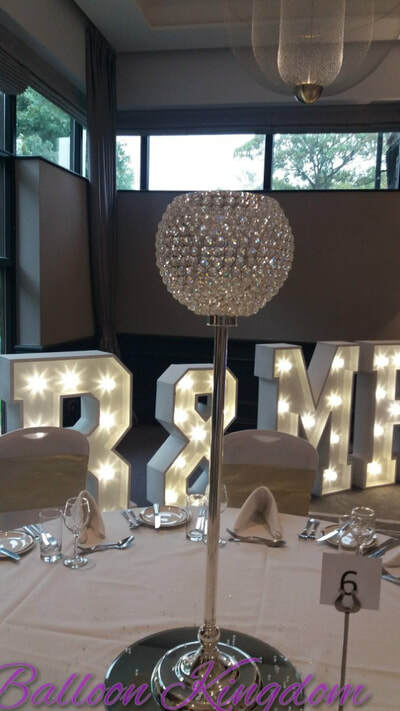 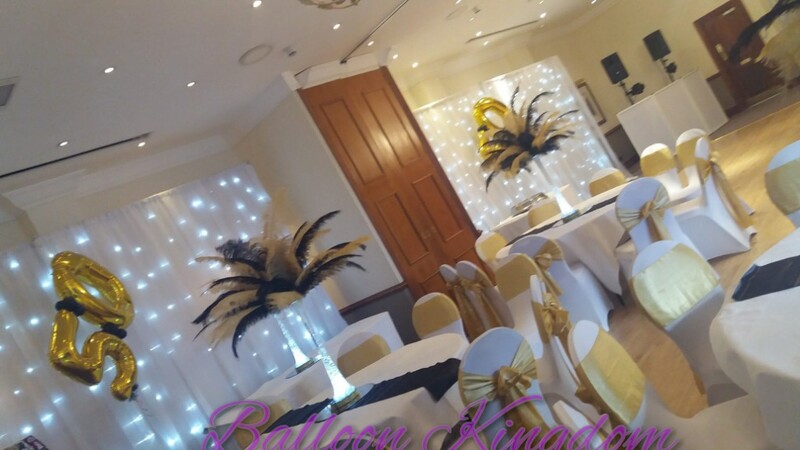 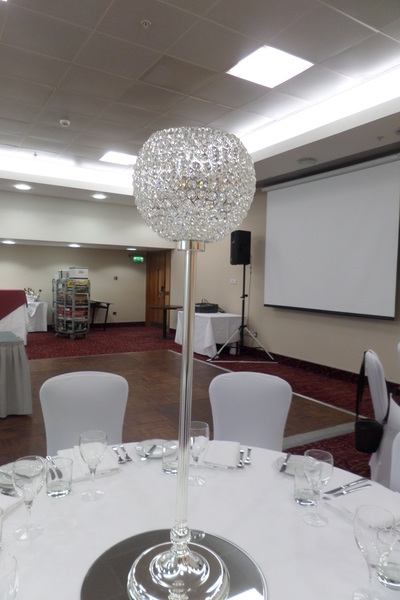 Centerpiece hire available with crystal gel pearls in various colours or crushed crystal gel ,candles and artificial flowers in any colour to suit your theme, with mirror base . 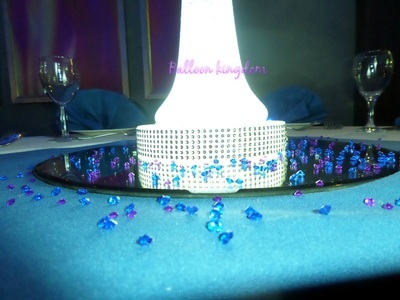 Scatter crystals, confetti and rose petals also available at £1 per table. 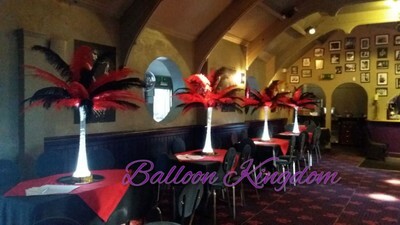 All vases are available dry hire for your own creations. 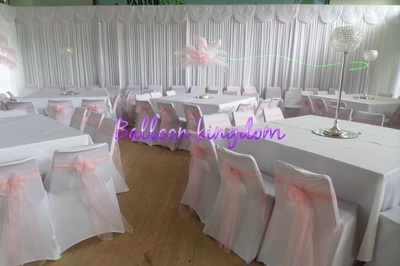 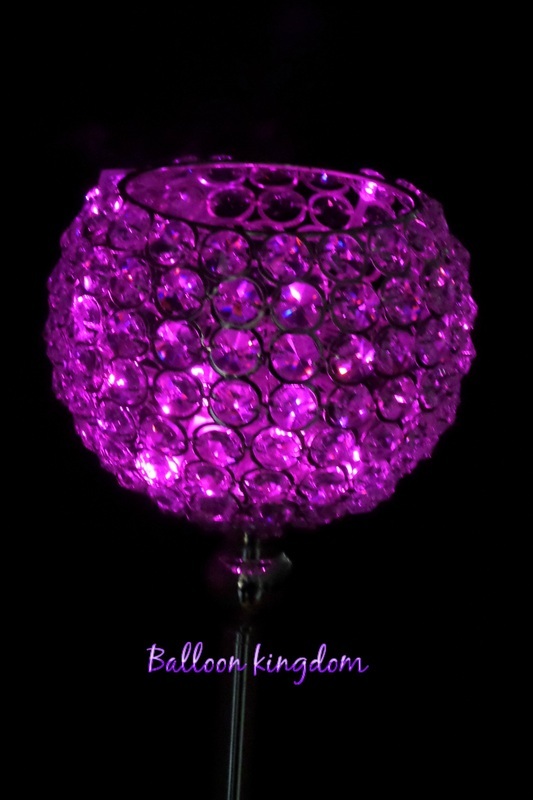 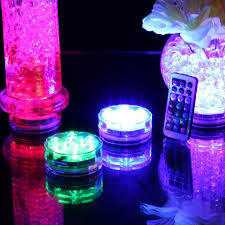 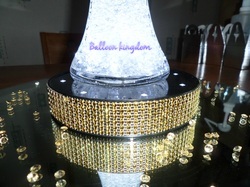 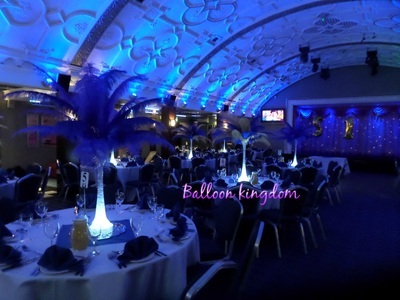 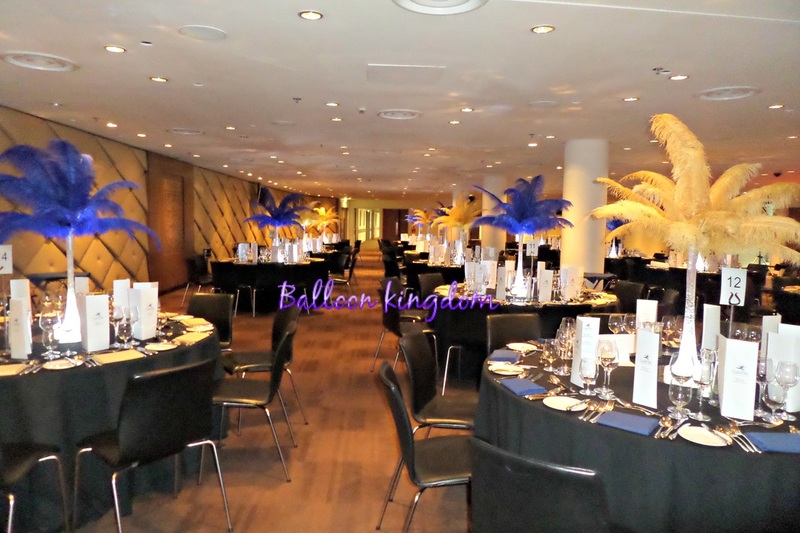 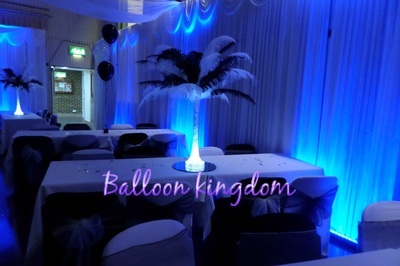 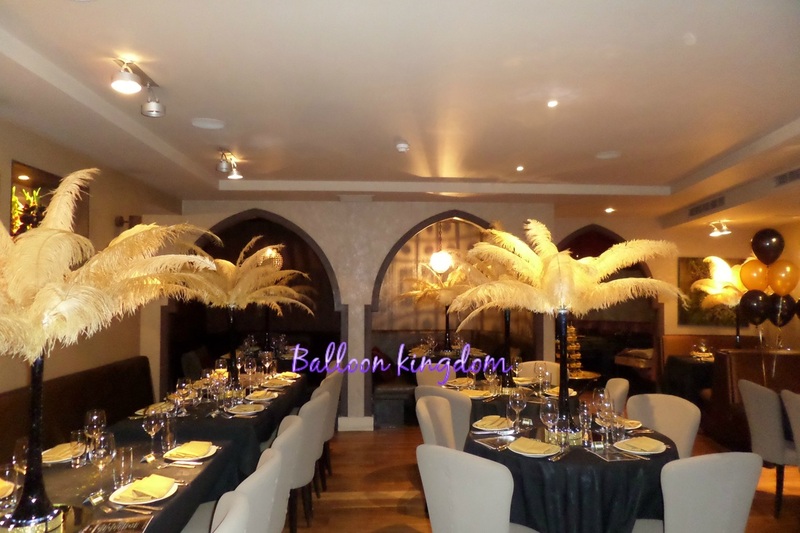 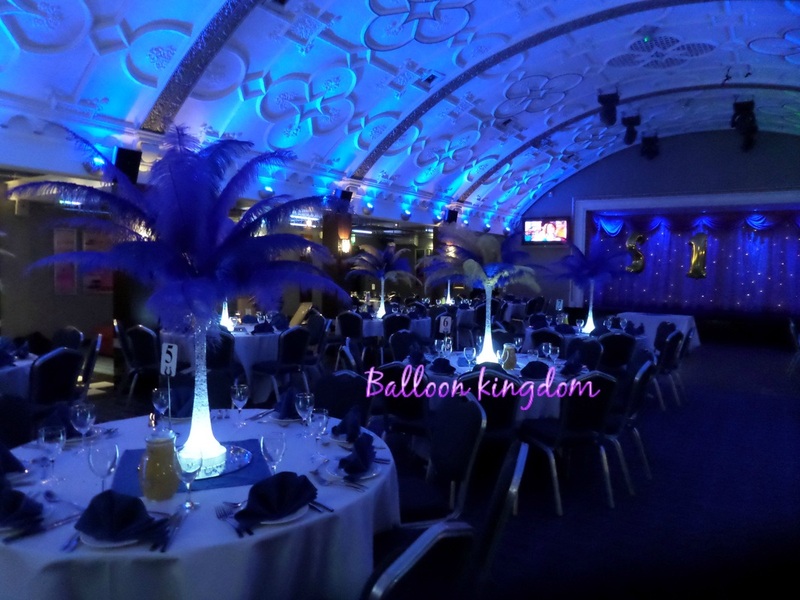 For more details email balloonkingdom.info@yahoo.co.uk. 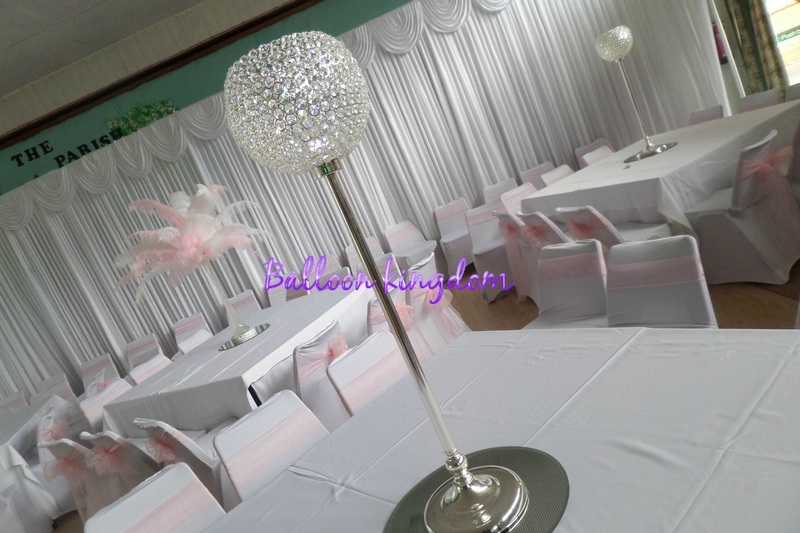 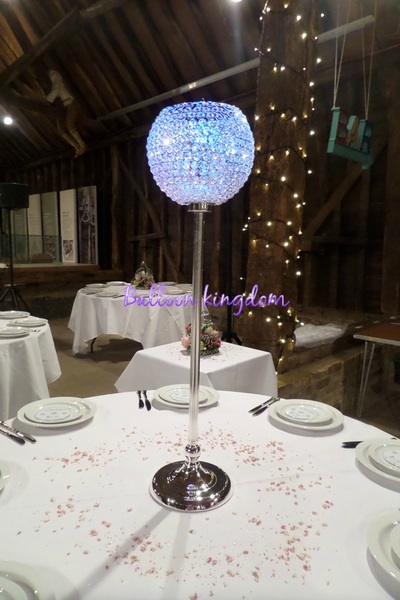 50cm martini vase hire with pearl beads and rose ball £15 each to hire. Manzanita crystal tree centerpiece hire. With crystals effect strands only £10, with crystals effect strands and lights £15, with crystals, lights and butterflies or artificial flowers £20. 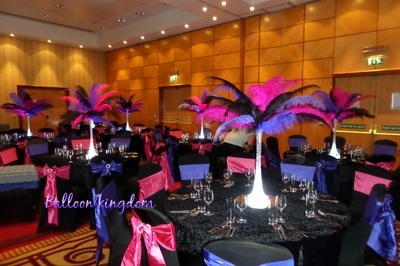 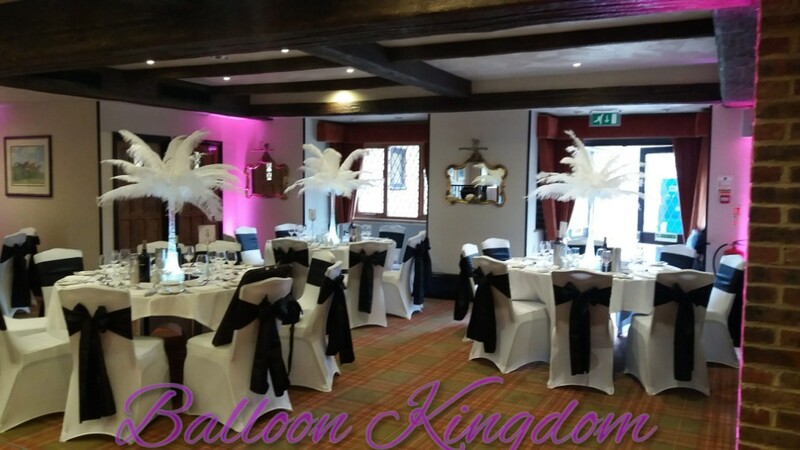 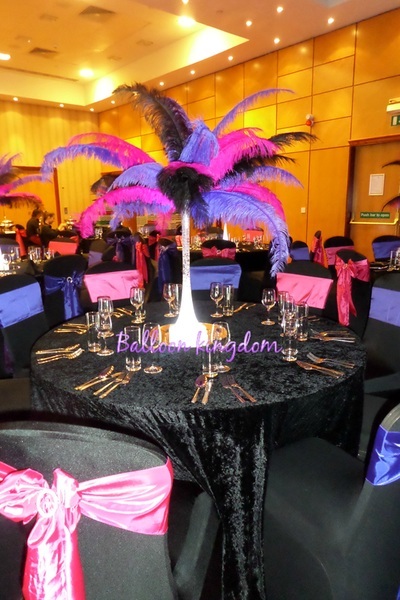 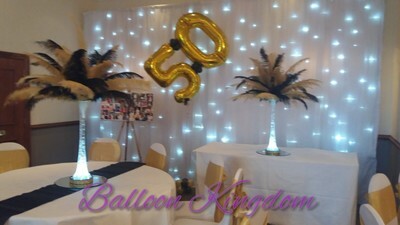 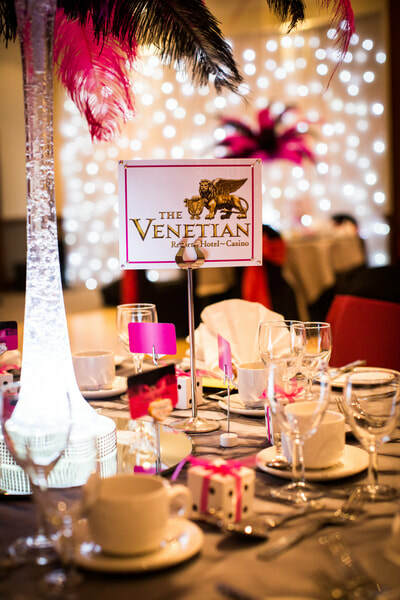 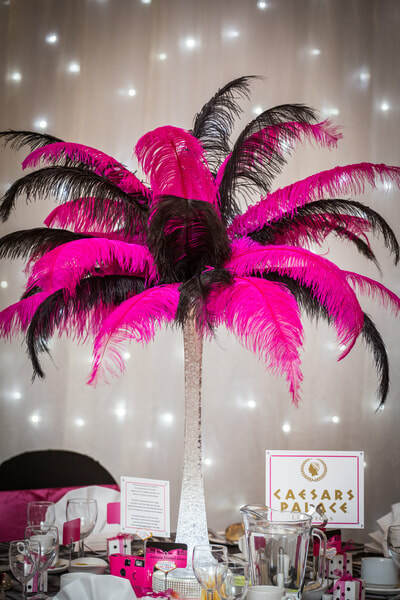 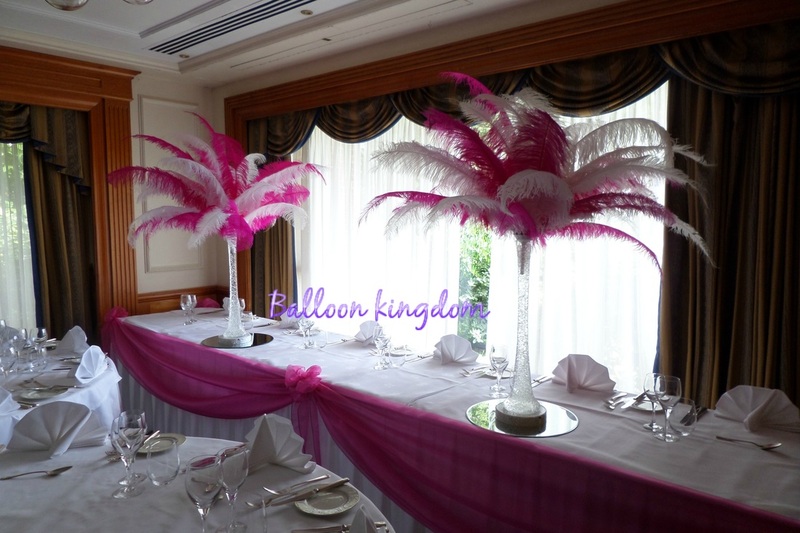 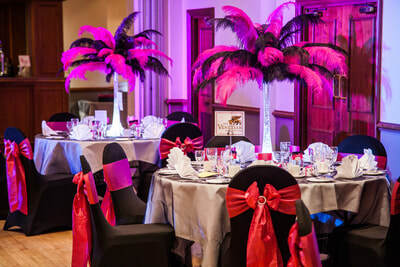 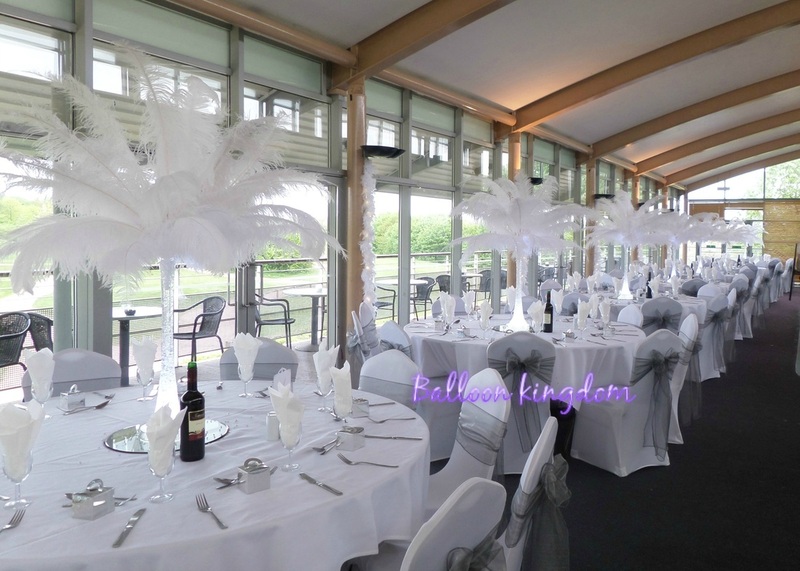 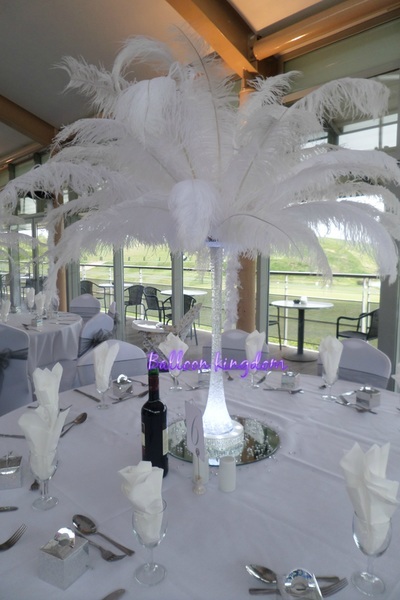 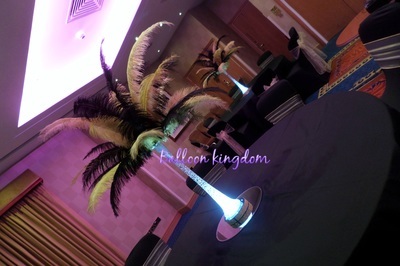 Ostrich feather centerpiece hire from £25. Please fill out the contact form and include venue address and event date. 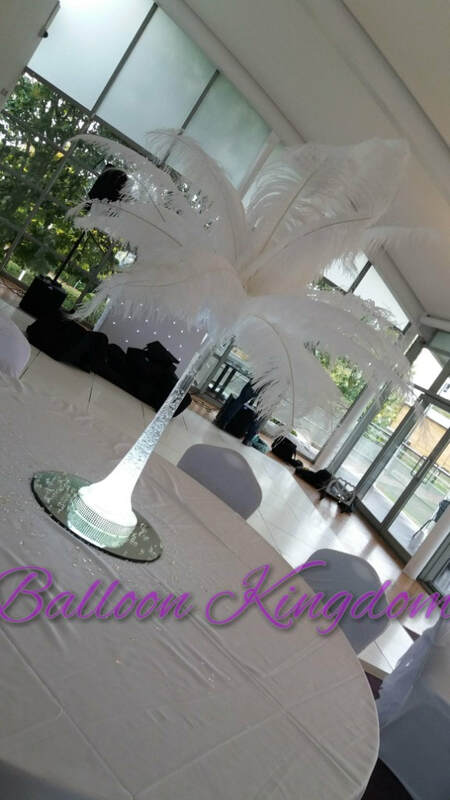 Centerpiece hire in UXBRIDGE, HILLINGDON, HAYES, WEST DRAYTON, IVER, SLOUGH, LANGLEY, DATCHET, DENHAM, WINDSOR, HOUNSLOW, FELTHAM, SOUTHALL, EALING, HEATHROW, RUISLIP, STAINES, EGHAM, VIRGINIA WATER, ASCOT, STANWELL, WRAYSBURY, STOKE POGES, STANWELL, SOUTHALL, BURNHAM, WEXHAM, CHERTSEY, ADDLESTONE, ASCOT, HANWELL, YEADING, NORTHOLT, MAIDENHEAD, MIDDLESEX, EAST BERKSHIRE, BUCKINGHAMSHIRE, GREATER LONDON WEST and surrounding areas.